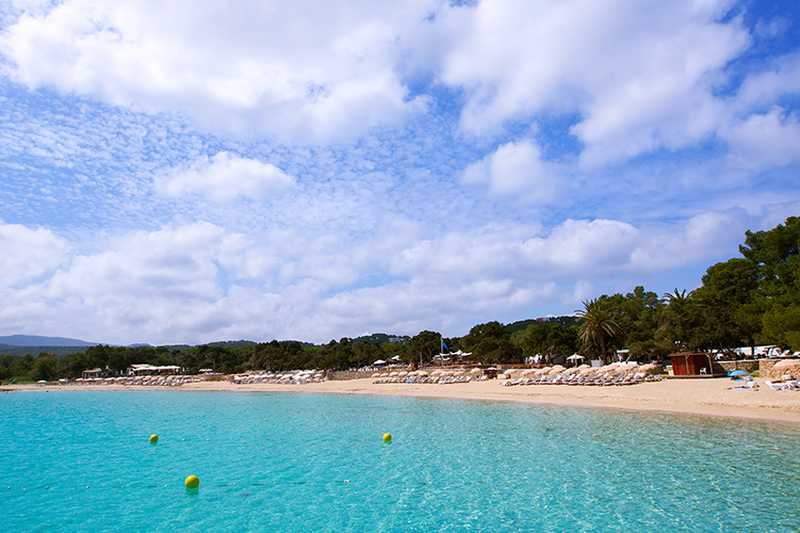 Sheer waters, virgin surroundings, dunes, hills of pines, Juniper Trees …The Ibiza Island you are dreaming about is a stone´s throw away from Sant Antoni. 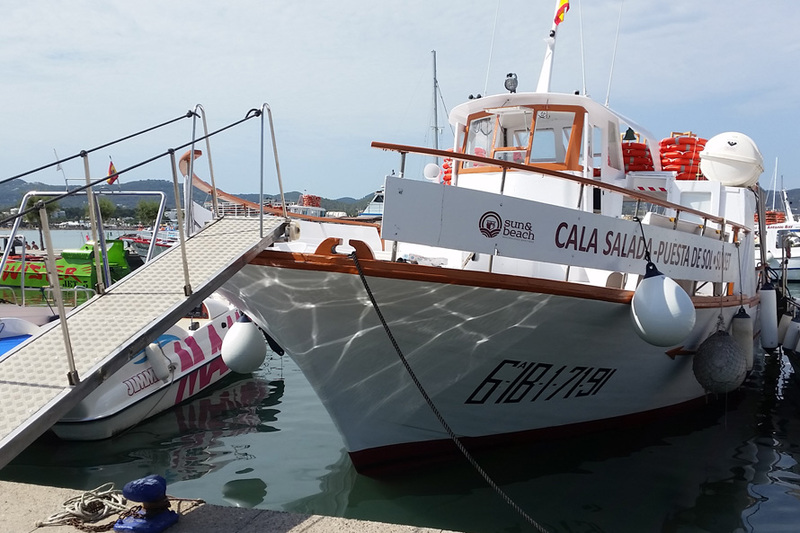 Get into our boat and discover Cala Bassa, Cala Salada and Cala Comte, three of the most spectacular beaches of the island. Surrounded by pines, tamarinds and Juniper Trees, you will love this beautiful crescent- shaped cove if you go with your family. Its seafloors, of sand and soft slopes, make it a real natural pool. Our ship will take you there every day in a nice maritime stroll of 30 minutes during which you can discover other beautiful corners of the West Coast. Calm, surrounded by a forest of pines and with a great seafarer charm. You will love it if you are looking for a relaxing and predominantly family environment. To reach to the nearby Cala Saladeta, take the path that starts from the rosy house. Since this year only 65 cars are allowed in the car-park of the cove, so you should get into our boat and enjoy a nice stroll by the coast.